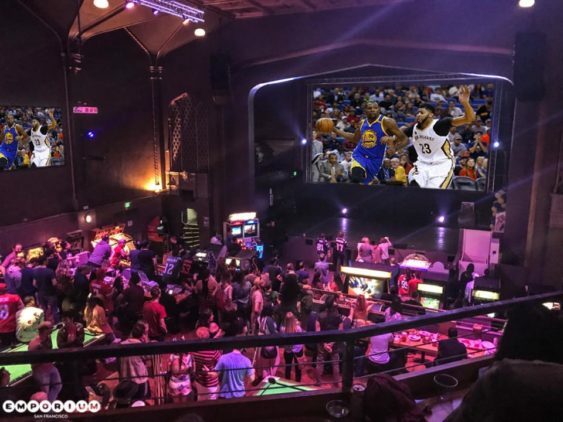 Catch every game on Emporium’s 50-foot movie screen with sound. Bring your own food (Little Star, anyone?) and buy a drink at the bar for one of the best (and biggest) views in SF for the playoffs.